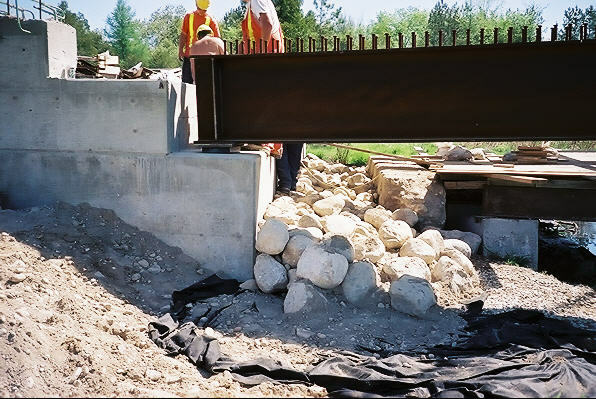 As a Canadian Consulting Engineering firm, we provide complete Professional Engineering services for project design, administration and construction field services from small to multi-million dollar municipal and private projects. K. Smart Associates Limited provides Professional Civil Engineering services for a variety of projects such as Municipal Drainage under the Ontario Drainage Act, Site Servicing, Road Engineering, Structural Engineering, Bridge Engineering, Structural Health Monitoring, Water Supply Systems, On-Site Sewage Treatment, Storm Sewers, Sanitary Sewers, Subdivision Design, Building Sciences, Land Use Planning, and other specialized assignments. K. Smart Associates Limited now provides a complete surveying service including GPS and Topographic Surveys, UTM Control Surveys, Plans of Condominium, Reference Plans, Surveyors Real Property Reports, and Cadastral (legal) surveying with our partner McKechnie Surveying. McKechnie Surveying specializes in legal surveying in the Region of Waterloo. Our mission is to deliver innovative and cost effective long term practical solutions. We form a team of Professionals who have the experience and expertise in understanding our clients’ diverse needs. Each project team creates efficient, reliable solutions that meet or exceed all regulatory requirements, and ensures customer satisfaction. Our goal is having the project done right, on time and on budget. All employees and clients are treated with respect and integrity. We create trusting and enduring relationships. We ensure effective and consistent operations and we act in a socially responsible and reliable manner. We are responsive to our employees’ and clients’ needs. We are entrepreneurial in finding and delivering successful solutions for a diverse range of services throughout Ontario. Download our Corporate Profile as a PDF file. © Copyright 2019 K.Smart Associates Limited. All Rights Reserved.